Lightweight wheelchairs Sheffield offer freedom of mobility for those who need assistance. At Da Vinci Mobility, we build customised wheelchairs that fit the requirements of your body. In addition to being lightweight, they enable a wider range of movements with more ease and precision than a regular wheelchair. We are proud of our enviable reputation for building customized, lightweight wheelchairs. Since the early 90’s we have provided to our customers’ needs and have gained a satisfied customer base. 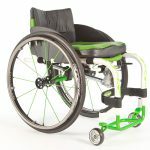 Lightweight wheelchairs Sheffield are ideal for anyone needing a customised wheelchair. Our wheelchairs are built from titanium and aluminium; both of which provide strength, endurance and lightness. When you invest in a wheelchair from Da Vinci Mobility, you are getting a product that has a long-standing reputation for durability and comfort. We’re proud to offer a wide range of wheelchairs that can forever change the quality of your life. Some of our products are ideal for everyday use while others are designed for sport as well as off road use. We also design wheelchairs for children. Their ergonomic design and quality of materials used to build our wheelchairs make them some of the best in the industry. Our lightweight wheelchairs are also ideal for children because it’s far easier to manoeuver them than regular wheelchairs. In addition, our lightweight wheelchairs are very easy to carry around because you can fold them and fit them into the boot of your car. 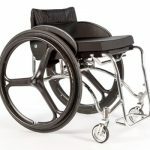 If you’re looking for a seamless way of moving around, then consider lightweight wheelchairs Sheffield. Contact Da Vinci Mobility today and let us discuss your mobility requirements. Some of our customisation options include colour choices, adjustable upholstery, materials, power-coated colours, adjustable heights, sporty armrests, fixed or folded back rest, extra fittings, as well as flip-back foot rests. All these customisable features not only improve the way your wheelchair works but also makes them look good. 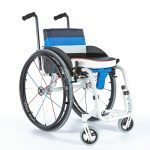 Move around in style and in complete independence with our custom built lightweight wheelchairs. Join our many satisfied and content customers.